Fresh and highly creative Photoshop actions with video tutorials, that shows how to setup your file as well as in-depth effect customization techniques. All Photoshop actions has been created with precise calibration adjustments to bring your images to life using powerful tools & professional methods. 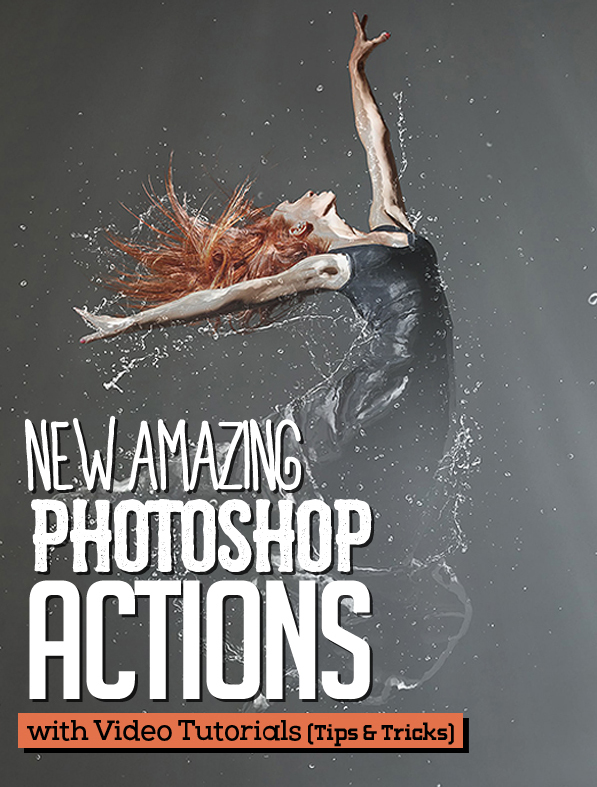 There are huge list of Photoshop actions and effects that are available for free download. The problem is that most of the free actions are low quality. In this post we’ll showcase some of the amazing ones so you won’t have to spend hours searching for them. The actions has been tested and working on Photoshop CS3,CS4,CS5,CS6,CC+. Powerful and unique multifunctional Photoshop Action transform your photo into proffesional sketch look in the easiest possible way. Perfect works with architecture objects, buildings, exteriors, interiors, any locations and any objects, like cars, bikes, airplanes, ships… any photos! Architectum 2 included library of Additional Sketch Actions for improving results of main action. Premium Double Exposure Photoshop Action – a great tool for a photographer or designer. Create a wonderful effect of double exposure in a few seconds. After action finished work, you can add a color tone, or gradient to your composition. This PS action will create a realistic oil paited art from your photos. It is simple and easy-to-use, just play the action and get result. It is optimized for use diffferent versios of Photoshop since CS version. This action IS NOT based on stadart Photoshop ‘Oil Paint’ filter, so you can use it on different versons of PS and get professional results from the use of this action. Unique Piratum Photoshop Action transform your photos into vintage artwork with style of old geographic maps. Highly detailed result, a lot of possibilities to easy customise and improve. One click action. Video tutorial included. This amazing Ps action have 8 ATN files with a High detailed results, 1 action file to brush the part to paint, 7 actions that apply the effect to all the image and help file with instructions to install the actions. Actions has been tested and works on Photoshop CS3, CS4, CS5, CS6 and CC+. Create a range of realistic water effects with this Action! Make sure to watch the video tutorial on how to setup your file as well as in-depth effect customization techniques. This PS action includes 3 different water actions containing a unique set of splash graphics. Go from a realistic underwater effect to a simple splash effect over your subject just by hiding a few layers! Change the light source and light ray direction to anything you like and many more options. astel Drawing is a Photoshop action, that will transform your photos into pastel painted on old paper pictures. The action has been tested on Photoshop (English versions) CC 2015, CS6 and CS5. This PS action, edit the layers settings, merge everything together, make sure to create a background from the layer ( click on the layer and from the menu go to: layer New Background from layer), now run the action again, edit the layer settings and save. Make sure to use photos that have a good lighting, that are of good quality, that are not pixelated and that are at least between 1000-4000 pixels, for bigger photos, run the action twice. Poetry Collection includes 5 artistic landscape toning actions. Can be used both for portraits and landscapes, to bring more expression, atmosphere and richness to your images. Professional quality. 100% automated: no user input required, just press Play. The action has been tested and working on Photoshop CS3, CS4, CS5, CS5.5, CS6 & CC 2014. Very Useful Action pack. One ATN file with many effect and unlimited color effect. Editable Color Option. Editable layer. Perfect layer decoration.